Craig Barlow Grew up playing junior golf in Southern Nevada and worked on the operations team at the Las Vegas Invitational. He was named Southern Nevada Golf Association Player of the Year in 1994, and qualified for the US Open as an amateur that same year. In 1997, Barlow finished T26th at PGA Tour School to earn PGA Tour status and maintained continuous exempt status from 1998 through 2008. In 2006, he finished T26th at the US Open. 2010 was a strong year for Barlow; he finished T5 at the Reno-Tahoe Open, collecting his first top-10 finish on TOUR since a solo third at the 2006 Northern Trust Open. The T5 was his second career top 10 in Reno. 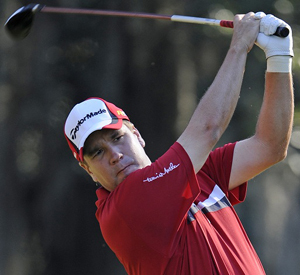 In total, he played 15 events in 2010 on the Nationwide Tour with two top-10 finishes. Barlow is a lifetime member of the PGA Tour after making more than 150 total cuts on the PGA Tour. In Craig’s words: "Being born and raised in Henderson, golf has always been a part of my life. I feel fortunate and grateful to play the game I love for a living. To be recognized by the Las Vegas Golf Hall of Fame is a dream-come-true. Golfing in and around Las Vegas is very special to me." Johnson is a high-level amateur with a win at the 2010 Southern NV Senior Amateur Championship and six wins at the Southern Nevada Amateur Championship. She was twice a member of the winning team in the Nevada State Women’s Partners Tournament, eight times a member of the winning team in the Nevada State Women’s Quad Tournament, three time Co-Captain of the Silver Cup team for the South, eleven time player on the Silver Cup team for the South and twice a member of the Nevada team at the USGA State Team Championship. Johnson has served on the Nevada State Women’s Golf Association board for 6 years and just recently started another term (has held positions of vice-president, tournament chair, secretary, future sites). In Laurie’s words: "Being inducted into the Las Vegas Golf Hall of Fame, to me, is an incredible honor and thrill. Golf is one of my true passions, so to learn that I am the second woman ever inducted into the Hall for supporting and playing the game I love is truly spectacular and exciting." Art Sellinger is the driving force for the sport of professional long drive. A two-time U.S. national long drive champion and a member of the Long Drivers of America (LDA) Hall of Fame, Sellinger has made a smooth transition from power golf champion and golf entertainer to sports entrepreneur. Sellinger lived and went to high school in Las Vegas, where he played high school golf at Chapparal High School and launched the Long Drive brand with an event in Las Vegas. He played golf at UNLV from 1984-85 and is a graduate of the school. He essentially made Long Drive Golf a mainstream golf event under his guidance and has brought unlimited awareness to the destination of Mesquite, and in some cases, Las Vegas. 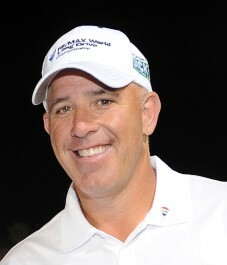 Sellinger was recognized by Golfweek in 2002 as one of "Forty Under Forty" – young executives shaping the future of golf. He was heralded in 2003 as a rising star in sports marketing by Fortune’s Small Business magazine. Today, players in 30 countries compete in the the RE/MAX World Long Drive Championship. In Art’s words: "I’m humbled by, and grateful for, this recognition, which takes me back to my roots in golf and life. To say the least, it’s been quite a journey, and many of the highlights have taken place in and around Las Vegas."